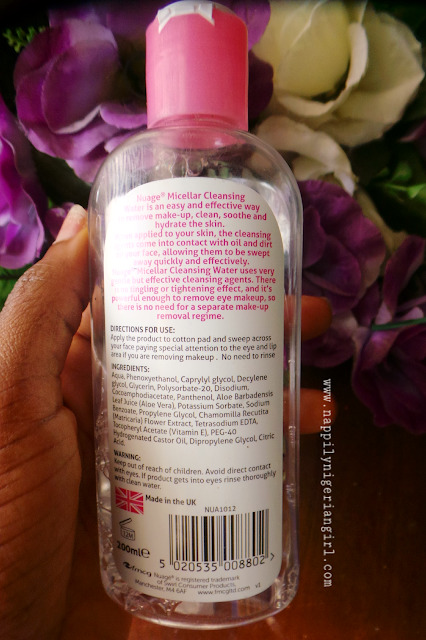 So, remember how I said I've jumped on the micellar cleansing water bandwagon? Well, considering how uncomfortable bandwagons can be...in that its small, tight and everyone wants to jump in one...I've gotten pretty comfortable in this wagon and even went ahead to upholster my little corner with an uber comfortable fushia pink lazyboy!!!! Okay....I'm letting my imagination get ahead of me...lol....but you get the gist. Micellar Water is here to stay! Not understanding what the fuss is about? 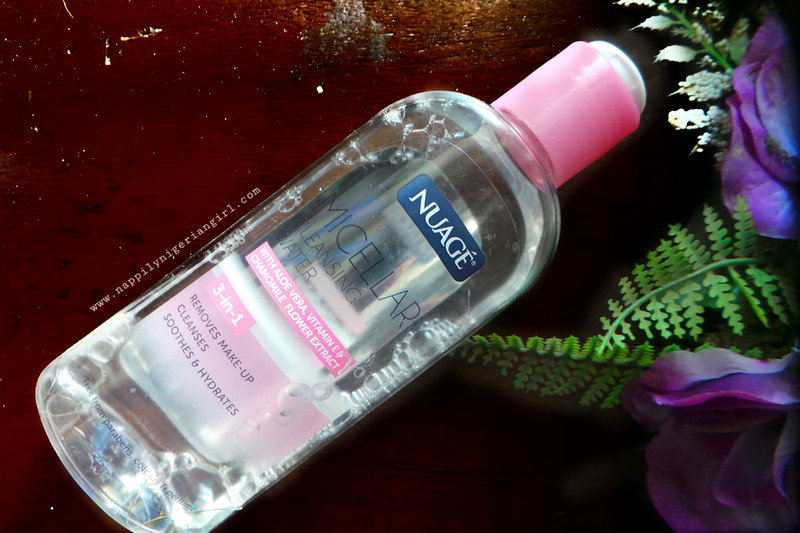 Since, I've decided to dip my toes in micellar water, I thought it'll be a good idea to find one that's cheap at least! My last one set me back N5000! I'm not complaining given the stellar results but com'mon, if I'm broke, it'll be one of the first victim of a budget cut!!! as in you'll hand over N1000 and they'll give you change!!! First of all, good price. Does it do as it says? As a makeup up remover, like it promised, it is really an effective way to remove makeup, clean, soothe and hydrate your skin. It removes makeup effectively even water proof mascara without hurting my eyes. It's so gentle that I even used it to clean out a scrape on my knee with little to no stinging! It also calmed my skin as well as the Orico one. My best part is, unlike the Orico one with the orangey fragrance, this one had little to no fragrance. This is good for when you just want to clean your face and go ...without the bells and whistles. Also, if fragrances give you a headache, this one won't annoy you! I can't complain about the price for sure! So, where can you purchase this ? I bought mine at Roban Stores, Awka in Anambra State.